SafeYacht opens up a professional dimension to the training of sport skippers. Safebridge, a Hamburg-based company training international commercial shipping navigators since 2009, with SafeYacht extends its portfolio to recreational boating. 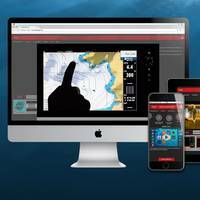 SafeYacht is a cross-platform application which uses the e-learning methodology as a unique feature and gives the access to the software of the final device. A new online training enables sailors and motor boat drivers to deal with their navigation systems as thoroughly like professionals on large vessels.